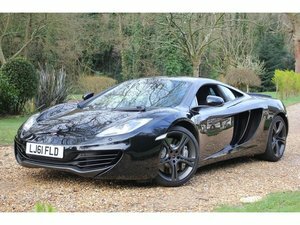 To understand McLaren in a contemporary sense it is easiest to start from the beginning. In a time without so many regulatory hurdles, when the simple thought of wanting to go racing meant you did just that, and a Man from New Zealand who did it better than almost anyone. Bruce McLaren's career started in 1958, but little did he know that he started something in motorsport that has yet to end. 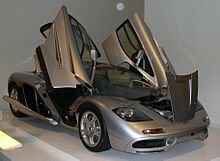 From the very first M1A through the F1 GTR and right up through the Speedtail on the production line today, McLaren has a long rich history spawned by Motorsport with almost no interest in existing unless it can go racing, win, and put that same technology on the open road. The McLaren GT program was established in 2011 in an effort to pickup where the F1 GTR program left off as McLaren's first foray into GT motorsport since the F1. It took the then newly released MP4 12C road car and further developed it into a homologated FIA GT3 specification racecar. Eligible for both LMS and other series throughout the world such as the Blancpain Endurance and Sprint Series. 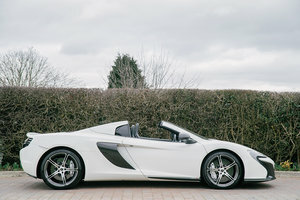 McLaren's newly established GT program provided factory support, parts, service, as well as a trackside presence and an active factory effort to win. The MP4 12C GT3 utilized much of the original cars carbon fiber monocoque and various already well-engineered components. Various upgrades and changes to the M838T Twin Turbo Engine. 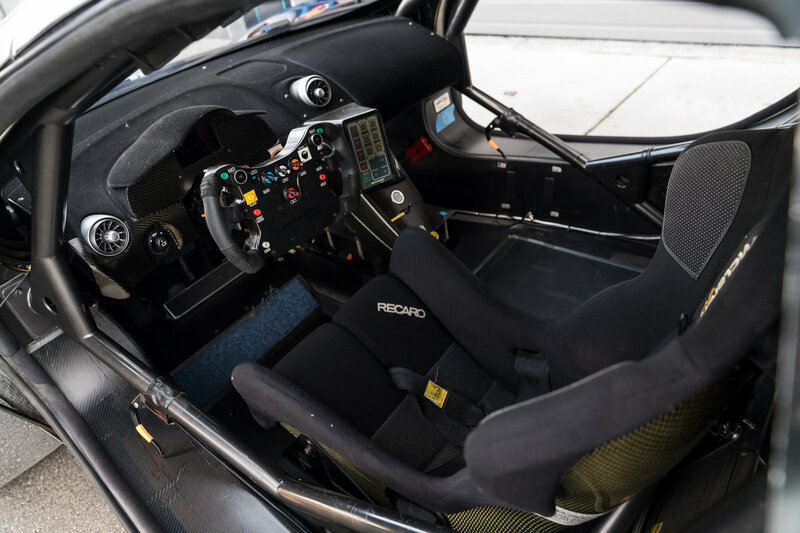 A bespoke Sequential 6-speed transmission developed with Ricardo that is 176 pounds lighter than the original. Perhaps the most interesting aspect is the amount of F1 technology utilized right down to the MP4-24 F1 steering wheel. In short, a comprehensive redesign with the specific purpose to go racing, win, and be reliable while doing so. The car on offer, chassis # 23 was delivered new to Boutsen Ginion Racing by McLaren GT in 2012. The car was entered in the 2012 Blancpain Endurance series as car #15, the number it would wear throughout its racing career. It was raced again in the Blancpain Endurance Series in 2013 and 2014. Additionally it also competed in the Baku World Challenge-FIA GT Finale multiple times. Chassis #23's last competitive GT race under Boutsen Ginion Racing was in November of 2014 with now LeMans Winning Porsche factory driver Kevin Estre behind the wheel at the Baku World Challenge where the car finished 18th overall due to suspension trouble. While the car received top care and service during it's campaigning with Boutsen Ginion Racing, major engine and transmission overhauls need completing approximately every 8,000KM per McLaren GT's specifications. 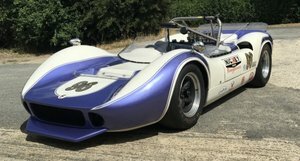 1,000KM before it was sold Chassis #23 was fitted with Engine #026 in July of 2014 and transmission # M114 fitted in April of 2014 both from McLaren. The car is relatively fresh in terms of these components and not in need of major replacement or servicing beyond normal race preparation and service. In the fall of 2015 chassis #23 was offered for sale for the first time to the public and acquired by a collector in CA who ran the car on occasion on a few west coast track to keep it operational. At the time of the sale Chassis #23 showed 17,678 KM. More recently, LBI Limited ran the car at M1 Concourse in Pontiac, MI for filming and promotional material. The car ran strong albeit with a learning curve, but overall very impressive with all systems functioning as intended, with trackside preparation and support was provided by RM Motorsport of Wixom, MI. Though it should be noted that to be competitive again proper preparation is likely needed, as with any car of this specification. 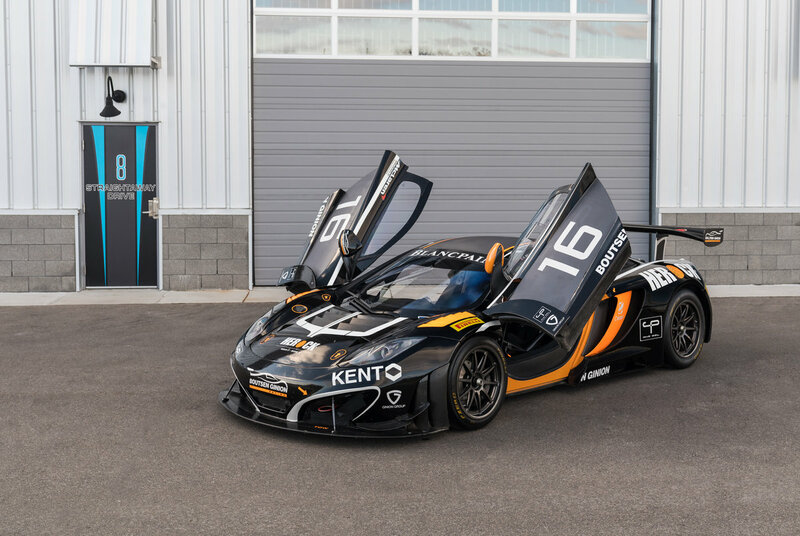 To that point, McLaren GT currently offers an up-to-date current spec for FIA GT3 for 150,000 pounds should the next owner decide they want to put the car through it's paces once more in competitive racing series. Offered with the Sale is a comprehensive spares package as catalogued in the PDF in the “View Documents” button, valued at more than $75,000. 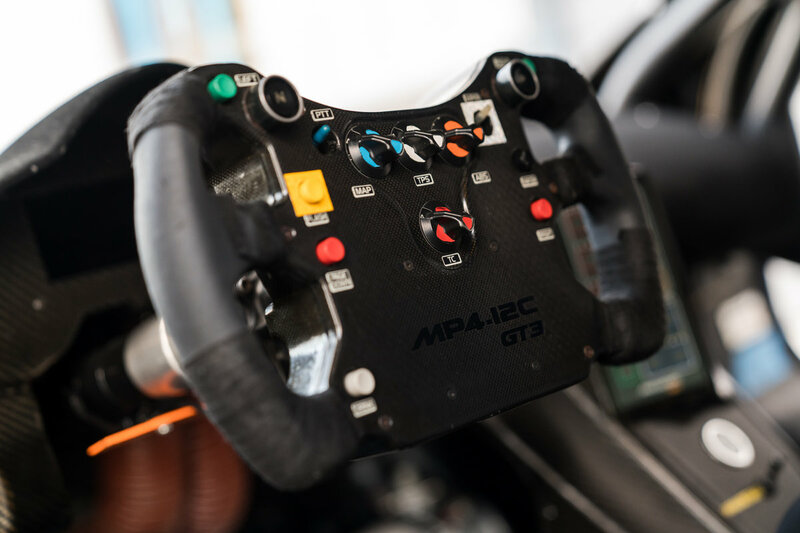 With only 40 examples produced, still viable as a competitive GT3 contender, with documented racing history by notable drivers, and McLarens example of what it is still capable of after 15+ years of being dormant; the MP4 12C GT3 is rare, capable and collectible. Please visit http://www.LBILimited.com for many more photos and details. Worldwide shipping is available upon request. Follow us on Instagram and Facebook @LBILimited with the hashtag #claimyourclassic.